Could intermittent fasting be your weight loss answer? You may have heard about the latest diet trend called intermittent fasting. When you hear the word fasting, feelings of deprivation, hunger, and fatigue may come to mind. 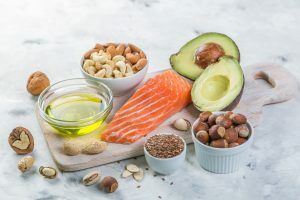 However, intermittent fasting is a special kind of fasting regimen that simply reduces the amount of time you eat during the day in order to allow your body to heal. Does it work? Recent research shows that intermittent fasting may have some serious health benefits such as weight loss that can make shorter meal times worth it. What is intermittent fasting exactly? 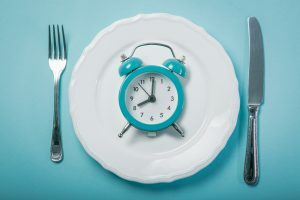 Intermittent fasting is a term that can be used to describe an eating regimen in which the time of eating each day is reduced to allow the body time to heal. The fasting time can range from as short as 12 hours to as long as 36 hours. A popular method of intermittent fasting is the 5:2 method in which a person fasts for at least 12 hours a day for 2 non-consecutive days during the week, then eats sensibly the other 5 days. Research shows that intermittent fasting works by placing the body under a period of mild stress. This exposure may help the body adapt to stress better. Therefore, over time, this adaptive ability can help the body better cope with any stress. And also, this adaptation may even help the body resist disease. 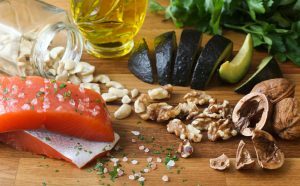 Recent research includes a study of men with prediabetes placed on an intermittent fasting regimen. After five weeks of treatment, the men on early-restricted time feeding had improvements in heart health not related to weight loss. Also, another study looked at the gut microbiome and intermittent fasting. This study shows that engaging in intermittent fasting may help alter the gut microbiome to improve immune function. Therefore, not only may intermittent fasting be effective for weight loss, but also for overall health and well-being. A small study was done to see the effects of changing meal times on weight loss. Over ten weeks, one group of people were asked to delay their breakfast meal time by 90 minutes and eat dinner 90 minutes earlier. Meanwhile, the other group was asked to engage in their regular meal times. No changes in the food they consumed was asked of them. After the end of the study, those who changed their meal times were found to lose twice the excess body fat than those on the regular meal schedule. Also, those in the changed meal time group consumed less food than their control group counterparts. Therefore, this study suggests that changing meal times to shorten the eating period may have a positive impact on controlling appetite and weight management upon further study. Besides changing your way of eating, there are other things you can do to make sure your body in is top shape to shape up. Move more: Staying active is not only good for your heart, but also good for reducing stress. Therefore, try to move more every day by taking the stairs, taking a walk during lunch or before work to energize your mind and body, or stopping at the gym after work. 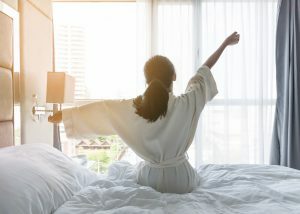 Sleep more: Many of us do not sleep enough. The average adult should be getting about 7 to 9 hours of sleep each night for proper health. Stress and anxiety can keep you up. A sleep disorder like sleep apnea or a pain-related disorder may also affect your sleep. See your doctor if sleep aids like melatonin are not working for you. Stay calm: Stress can ramp up the body’s cortisol levels, which over time can make it hard to shed pounds. Therefore, work to manage your stress through relaxation breathing, exercise, or talking to a professional. Talking about your stress may help you find strategies to deal with any future stress you may feel. Visit your doctor with concerns: If you have tried everything and are still having trouble losing weight, visit your doctor. Ask them if you may have any underlying condition that is preventing you from losing weight. Have your thyroid panel checked and be sure your nutrient levels are in line. Take a supplement to fill in nutritional gaps: Vitamin D deficiency, low iron, and other nutrient deficiencies can cause fatigue that can make moving more difficult. In turn, these individuals may have little motivation to engage in a healthy lifestyle regimen. Therefore, be sure to have your nutrients tested at the doctor regularly so you can receive proper supplementation as needed. The supplement Glucarex by Vita Sciences is also great to help support weight loss and metabolism with natural ingredients like chromium and alpha-lipoic acid. Cignarella, F., et al. (June 5, 2018) “Intermittent Fasting Confers Protection in CNS Autoimmunity by Altering the Gut Microbiota.” Clinical and Translational Report, 27(6), 122-1235. Patterson, PhD, R.E., et al. (August 2015) “Intermittent Fasting and Human Metabolic Health.” Journal of the Academy of Nutrition and Dietetics, 115(8): 1203-1212. Sutton, E.F., et al. (June 5, 2018) “Early Time-Restricted Feeding Improves Insulin Sensitivity, Blood Pressure, and Oxidative Stress Even without Weight Loss in Men with Prediabetes.” Clinical and Translational Report, 27(6): 1212-1221.